United Shades of America, that aired from 10-11pm Sunday night, ranked #1 among adults 25-54 and 18-34, according to Nielsen Fast National data. 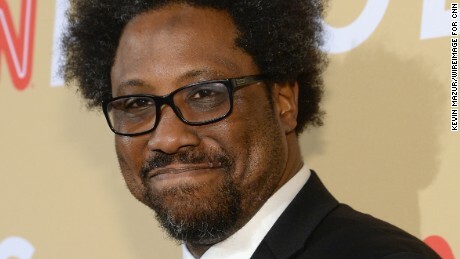 It is a new eight-part series that follows W. Kamau Bell as he explores communities across the country and uses comedy to start conversations about race and how our differences unite and divide us, got off to a strong start. In the provocative premiere episode, Bell meets the ‘new’ Ku Klux Klan, ranking #1 last night with 361k, +93% more than Fox News’ 187k and a whopping +668% advantage over MSNBC’s 47k. In 18-34, United Shades had 119k to Fox News’ 50k to MSNBC’s 22k. In total viewers, CNN had 855k, Fox News averaged 888k and MSNBC trailed with 292k. Among all CNN Original Series season premieres, last night’s debut of United Shades ranks 5th among adults 25-54. I am a native of Mobile County Alabama. My family’s home is located approximately fourteen miles north of downtown Mobile, in the municipality of Satsuma (Sat-su-ma). The City of Satsuma is about 7% African-American. In Alabama’s small towns, particularly for my family, and others African Americans, we are continue to struggle with the remnants and badges of: (1) slavery, (2) Jim Crow, (3) institutional racism, and (4) judicial inequity. It appears that these elements of our southern society to continue thrive in SMALL TOWN America because no national attention is given to these injustices. For example, in my family situation, we are OPENLY DENIED DIRECT ACCESS to the FRONT of our home. In order to access the FRONT of our home, (1) the family, (2) our guests, (3) and ALL services providers, to include our U.S. mail, are DIRECTED, under color of law, to our BACKYARD by the municipality of Satsuma. In my family situation, we were told not to file another case in the courts, and the magistrate judge stated, “That we may not like it, and that we will just have to get use to it”. It being, accepting this subservient treatment. This treatment is a violation of our constitutional rights, and all other level of rights inherent in this miscarriage of justice – hence judicial inequity. In another situation, a white gentle petitioned the court to have a short cut through an African American’s FRONT yard, to get to his property. The SMALL TOWN court granted this petition. The African-American gentleman was threatened with a fine if he did not honor the court judgment. I do not know the current status of this case. It is my opinion that, these societal ills persist due to: (1) the political and judicial landscape of the South, and the refusal of (2) our civil rights leaders to get involved. I have reached and requested assistance from a number of agencies, to include the NAACP. All efforts, certified letters, email, phone calls, Twitter, Facebook, and travels, all have fallen on death ears.